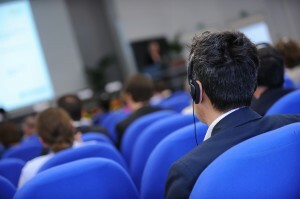 CIAP provides simultaneous conference interpretation services in Bangkok and all over Thailand. 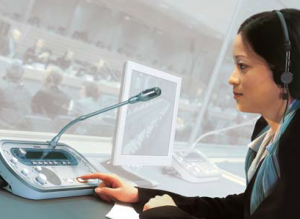 CIAP has a long connection with Thailand and in-depth knowledge of the conference sector and simultaneous interpretation equipment market in Bangkok. Suzanne Kobine-Roy has been a freelance simultaneous conference interpreter and translator since 1998. She is a member of the Advisory Board of AIIC, the International Association of Conference Interpreters, where she currently represents the Asia Pacific region. She works as a simultaneous conference interpreter for international organisations such as the UN, high-level government meetings, diplomatic visits to SE Asia, NGOs and the private sector. She has been a regular member of the French interpretation team at the Khmer Rouge Trials in Cambodia. She also works for corporate clients across a broad range of sectors, from board level to IPO roadshows and management training. As a consultant interpreter, she organises teams of conference interpreters for international meetings across Asia, including G7 and APEC events. 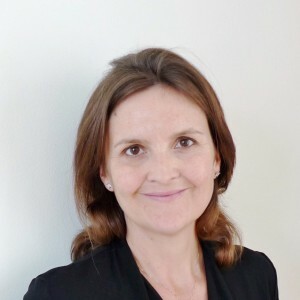 Suzanne pursued a bilingual degree programme in English, French and European law at the Universities of Exeter (UK) and Aix-en-Provence (France). She lived in France for 20 years before moving to Singapore in 2010 then to Thailand in 2016. Jean-Pierre ALLAIN was born in 1944 in Paraguay, of English mother and French father, and has lived in South America, Europe, Africa and Asia. 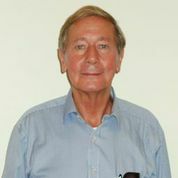 He graduated as a simultaneous conference interpreter from the University of Geneva in 1971 and obtained an MA in Economics from the same university in 1973. 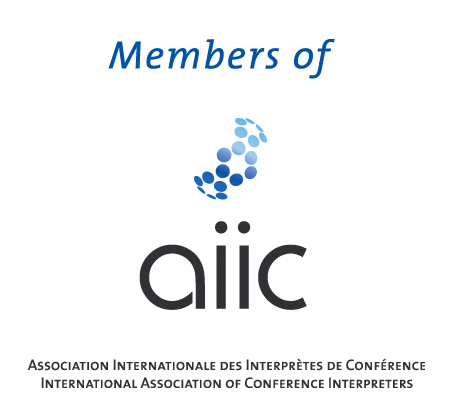 Member of AIIC since 1971, he has worked as a simultaneous conference interpreter since then and was a lecturer at the Interpreters School, University of Geneva. He was advisor and economist with several NGOs in Africa and Asia and continues to be active in some of them. In addition to interpreting, he has been organising conferences and teams of simultaneous conference interpreters since 1988. CIAP is your single point of contact for all your interpretation needs. Meet our Consultant Interpreters across Asia-Pacific. 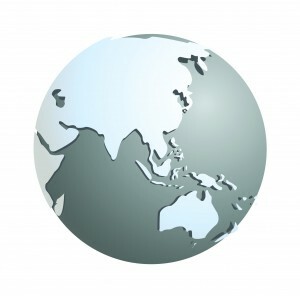 CIAP has serviced over 500 conferences in Asia-Pacific and beyond. More information and updates from the world of interpreting.